Provide comfort for the family of Corrine Wander with a meaningful gesture of sympathy. Corrine L. Wander,86, passed away peacefully with her family by her side on Tuesday January 29th at St. Peter’s Hospice Inn. Born in Syracuse, NY, Corrine was the daughter of the late Edgar and Julia (White) Connelly. A homemaker, Corrine attended Syracuse University, loved reading, gardening, yard work and her animals. She was an avid golfer, a member of Western Turnpike Golf Club and it’s Ladies Senior Golf League. Predeceased by her husband Donald S. Wander in 1999, Corrine is survived by her children; Jennifer Wander of Albany, Daniel Wander (Janice Slavik) of Guilderland, David Wander(Norma) of Globe ,AZ and Paul Wander of Peoria, AZ., her brother; Richard Connelly and sister Patricia Kin (Robert) both of Virginia, her grandchildren; Jeremy, J.D. , Veronica and Ben Wander, great grandchildren; Aiden and Jackson Wander and several nieces and nephews. Funeral services will be held on Monday February 4th at 12:30 pm at Bond Funeral Home, Broadway & Guilderland Avenue, Schenectady, NY. A visitation will be held at the funeral home from 10:30 to 12:30 pm prior to the services. Contributions may be made in Corrine’s memory to the Mohawk Hudson Humane Society, 3 Oakland Ave., Menands, NY 12204. We encourage you to share your most beloved memories of Corrine here, so that the family and other loved ones can always see it. You can upload cherished photographs, or share your favorite stories, and can even comment on those shared by others. 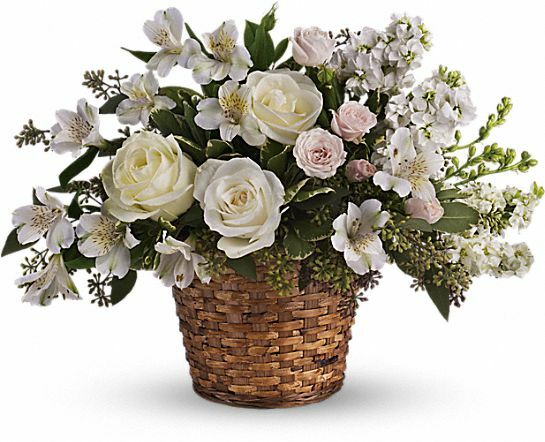 Paulie sent flowers to the family of Corrine L. Wander (Connelly). Deepest Sympathy: From the Duber and Bolinger families. Heartfelt Sympathies Store purchased the Love's Journey for the family of Corrine Wander. Love you Mom. Miss you already. Tell Dad I love and miss him too! Paulie purchased the Bright and Beautiful Spray for the family of Corrine Wander.